Over the past few months we have written a lot about land and landscapes and forms of learning that emerge from these. 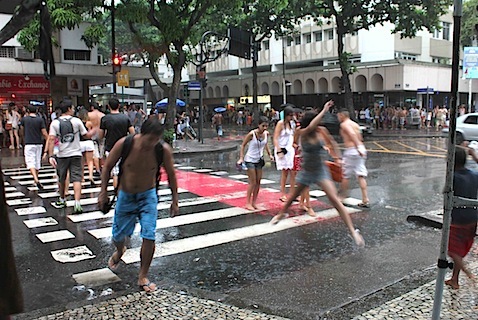 It might then seem strange to write about enlivened learning – a learning that tends to reconnect to place and community – within an intensively urban and highly unequal setting which is the city of Rio de Janeiro. We have also been writing about identity, often about indigenous identity, about the traumas of colonialism and the role of learning in healing, in re-signifying and strengthening identities and providing the space and tools for creating other stories and possibilities. All these ingredients, in their particular way, can be found in this vast and complex city of Rio. As groups, say for instance those living in shantytowns, who have been historically marginalized seek to be more fully a part of the city, of its economy, its infrastructure, its culture and its production of knowledge, innovative forms of organization, social action and culture have been created which provide possibility and inspiration. 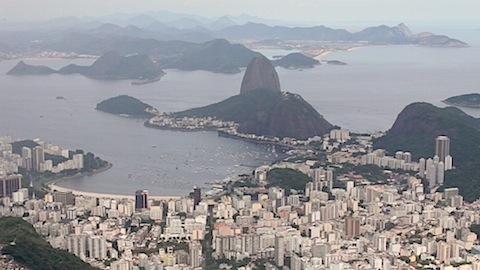 Of importance to us in our visit here were exciting initiatives emerging in Rio de Janeiro’s favelas or urban shantytowns, the occupied settlements that pepper the cityscape climbing up the granite hills or stretching outwards in the peripheries. 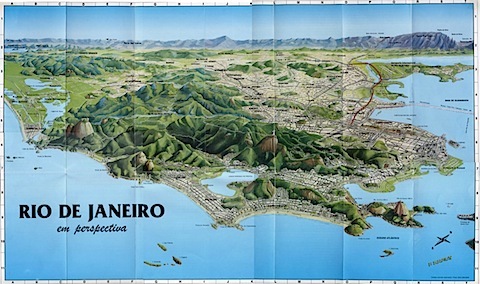 In Rio around 1 million people from its total population of 6 million (1 in 6 people) live in these settlements, some of which date back to a hundred years ago. I have worked with different groups in favelas since my postgraduate work in Rio more than ten years ago. During this time I focused on children and young people who were living or had lived on the streets of the city, with the incentive of understanding more about how they managed to leave this way of life. I then focused on how young people living in the favelas organise in different groups and projects and create art, media, music in their struggles against inequality. Over the next few posts we will explore an initiative that has been at the vanguard of innovation in developing creative forms of media literacy and production from favela communities and in broadening access to higher education, for its residents. I was very excited to arrive back in Rio. It is also my home, the place I grew up. The city could not have contrasted more to the loud animated tranquility of the forest we had left just a few days before at the Peru/Brazil border. There in the National Park we walked through rain-drenched jungle paths in search of giant otters, stayed in an eco-lodge with a tarantula hanging out in the bar and had one of my socks stolen by a forest rat in the night. (I still imagine fondly my disappeared sock serving as bedding for a rat family somewhere in the jungle). Landing in Rio the murmurs of the forest were replaced by hum and beat of city life, increased manyfold by the coming new year party which draws hundreds of thousands of people from across Brazil and beyond. 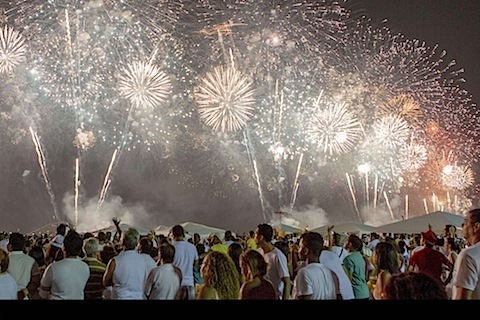 On the night we arrived we attend another ceremony, this time with around two million other people, gathering on the shores of Copacabana beach to greet the new year under a shower of fireworks. This ceremony started decades back when a few groups from the city’s Afro-Brazilian religious communities (Candomblé and Umbanda), predominantly living in the favelas, gathered dressed in the traditional white to lay offerings to the sea deity Yemanja to bring good fortune in the coming year. 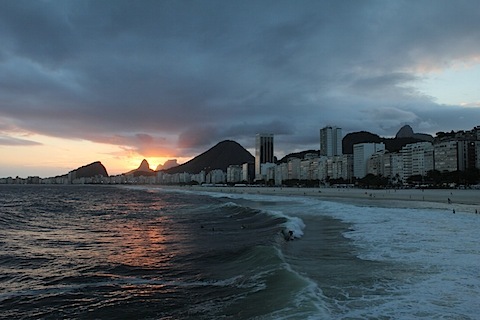 Although members of the Candomblé and Umbanda communities have declined in numbers across Brazil, in particular due to the growing strength of evangelical churches, the outer form of the ceremony remains as most people still dress in white and many light candles in the sand and offer flowers to the sea. Despite the mass concentration of people and the loud music thundering from the stages and the mesmerising firework display, all sponsored by the city council and various corporations, a calm prevails in the sandy stretch as we wait for the Gregorian calendar to tick over at midnight. I imagine a great global penumbra, a sweeping shadow of time, of midnight, traversing the planet greeted by cheering crowds, each place at midnight. A festive Mexican wave of fireworks and champagne and hugs and kisses. I imagine that festive wave only works in places with a Gregorian calendar or the mass media has penetrated. 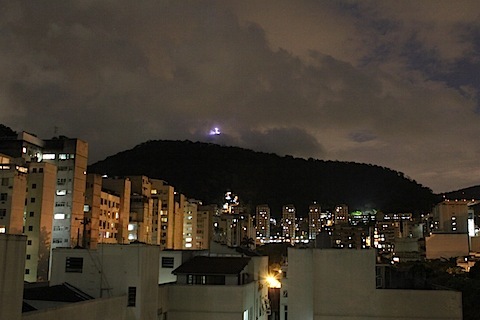 I guess we all celebrate the passage of big cycles of time somehow and here in Rio we have the help of Yemanja. Maybe that is why people come here, to feel her gentle embrace along these shores as we send her gifts in the hope of a good and peaceful coming year. For me it also feels good to be where I grew up, know people, feel embraced by the language and recognise the thickness of the air, the smell of sea, plants and car fumes. Actually, I am reminded now that at least two people in this journey, both carvers, one a First Nations person from Canada the other a Maori from New Zealand, have told me of how the thickness of the air gives them a sense of home. I suppose it is the same for me, shame it had to be such a strange mixture of fumes! But despite the chaos, the inequality, the pollution and lack of security something creative stirs in this place between the hills and the sea and animates the city and its vibrant and hospitable people.